Stephens is the principal founding member of the company in 1989. She has over 35 years’ experience in healthcare finance and administration, and formerly served as Executive Vice President and Chief Operating Officer of both a 100-bed hospital and its parent holding company in Milwaukee, Wisconsin. Stephens has achieved national recognition in the areas of multi-corporate planning and reorganization, zero-base budgeting and physical rehabilitation finance. She was included in the 2000-2001 edition of Who’s Who in the World, and previously profiled in Who’s Who in America, Medicine and Healthcare, and Finance & Industry. In 1984, Stephens was cited by the Joint Commission on Accreditation of Hospitals as one of eleven women nationally to hold a V.P. or higher status in the hospital field. Cooner is President, Safety First, a division of Behavioral Health Systems, Inc. He has been with the company since 1996. Cooner’s 40 years of experience include 19 years working for a national reference laboratory in various management-level positions. He was the Regional Director for LabCorp America, specializing in clinical laboratory operations. He maintains several certifications including American Society of Clinical Pathologists (ASCP) and the Health, Education, and Welfare (HEW) certification for medical technology. He is certified as the only Substance Abuse Program Administrator (SAPACC) in Alabama. Cooner holds a Bachelor of Science degree in Hospital Administration and is a graduate of the University of Alabama at Birmingham. Dr. Allen joined Safety First as a Medical Review Officer (MR) in 2006 and has been instrumental in the continued growth and national presence of Safety First. Dr. Allen is a graduate of the University of Alabama at Birmingham, earning his M.D. in 1988. 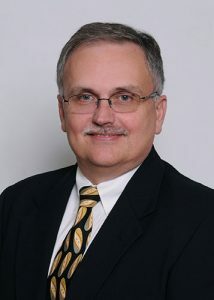 He is board-certified by the American Academy of Family Practice and served on their board in recent years. Dr. Allen is also a certified breath alcohol technician (BAT) and a certified drug screen collector. 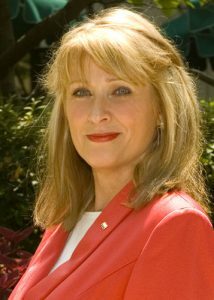 Dr. Szabo joined the Safety First team in 2011 to meet the growing demand of servicing Safety First clients through the medical review officer process. She is a graduate of the University of Wisconsin, School of Medicine and is board-certified in Preventive Medicine-Occupational Medicine. Additionally, she holds a Master’s degree in Public Health, obtained through the Medical College of Wisconsin, and Business Administration from Regis University. Dr. Szabo is certified as a Medical Review Officer through the American Association of Medical Review Officers. Cox is responsible for all activities involved in the client billing process at Safety First. Her primary responsibilities include coordinating all client, laboratory and third-party provider billing. She serves as the primary corporate liaison to the Safety First network of SAMHSA-certified laboratories regarding activities related to pricing, customer service and billing. She has 15+ years of experience at Safety First, having served in various roles and positions within the division.